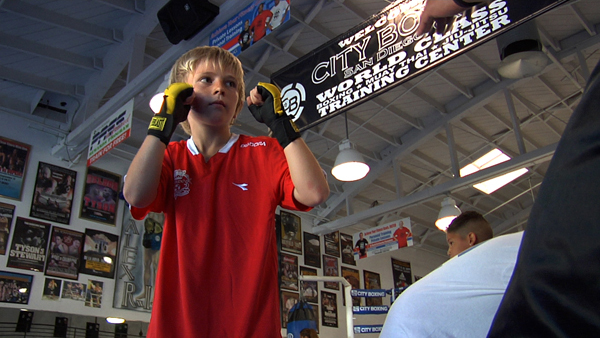 City Boxing is without a doubt the best Kid's Boxing gym in San Diego. 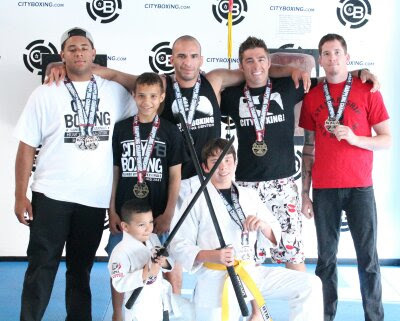 We offer the best training and instruction for kids 3 days a week. Our kid's boxing classes are for boys and girls 6-12 years old. Teenagers 13 and over can take all other classes when parents sign a consent waiver. 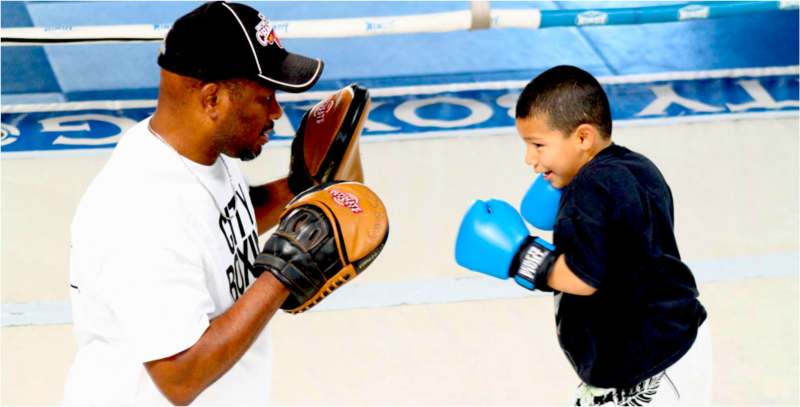 ​Because we are so confident in having the best Kid's Boxing training, atmosphere, facility, location, price and value among all the Kid's Boxing programs in San Diego, we offer a 30-DAY RISK-FREE TRIAL. Just sign up for a FREE TRAINING PASS on the bottom of this page, then come and train with us anytime you like. 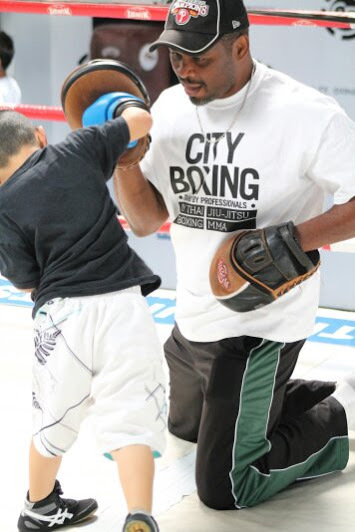 Your kids will be learning boxing from Vernon Lee, the same trainer that teach our adult classes, amateur and professional. Vernon will pass his wealth of knowledge onto your kids. For kids with no experience, we teach the basics, : proper stance, footwork, guard, punches, focus mitts, shadow boxing, conditioning, jump rope, and how to use the different bags. For kids with experience we teach advanced techniques for offense and defense. All this for a membership fee as low as $95 monthly. If you are a parent interested in joining the gym at the same time as your child, you can take advantage of the discount available by signing-up under one contract. Please fill out Free Trial Pass form on the bottom of this page to come in and try out City Boxing's Kids Boxing classes, as well as any of our other classes, for free. Vernon! You are THE MAN ! You coached my son Leo over 5 years ago when he was in high school, not much interested in academics, ... through boxing you taught him to apply himself, to be dedicated. You laid a strong foundation in a sixteen year old boy. Leo excelled in college, & will be starting a dual MD/PhD degree program in June.